I will continue to add text to the Scenes.html link, but I wanted to get it up and viewable for you. I hope you find the scenes I’ve selected thought provoking and inspiring. Nothing is more difficult to achieve than simplicity, and nothing more worthwhile. My current journey has me traveling with director, Doug Pray, between Riverside, CA and Los Angeles, CA normally a 40 mile drive. But this time it is over 100 miles because we are passing through Long Beach. We will travel between 4 and 7 miles per hour for 6 hours each night over a period of 9 or 10 nights to complete the journey – All while filming a transport that is 297 feet long with 198 tires. The cargo – a boulder – the largest single rock ever moved by man. The 340 ton granite boulder will be the focus of a new conceptual art installation at LACMA (Los Angeles County Museum of Art) by Michael Heizer. Our film, is the story of the Rock, the Artist, the Engineering, the Construction, the Nature of Art, and the Communities which are linked by this journey. 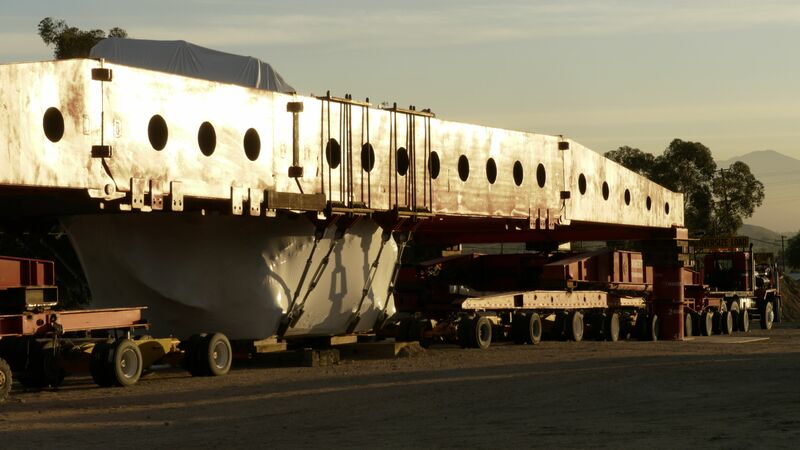 Once installed, the piece will be called Levitated Mass. You can read a bit about it at these links. What was I thinking? I was recently on location in Mexico and somehow thought I would have time and energy to post photos and text from time to time. I didn’t. 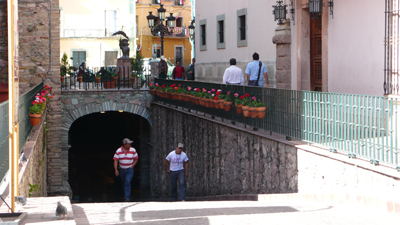 Although we filmed in Mexico City, Veracruz and Costa Esmerelda – we spent most of our time in Guanajuato. 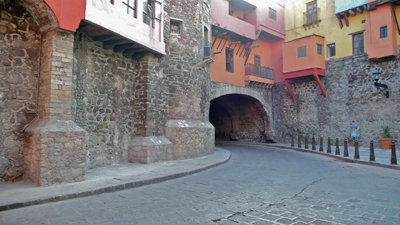 Guanajuato is a beautiful city in the center of Mexico. Nestled in a valley, it grew as a mining town, and so access into the town is through a series of intersecting tunnels. Once in the city the old roads are narrow. All of this combines to create a very safe feeling. From this photo you can see that the Cathedral and the University dominate the scale of the buildings, as everything else falls off into smaller proportions. The people were very friendly and accommodating to the needs of our production. Guanajuato is of particular historical significance to Mexico as it was the place where their revolution for independence from Spain began in 1810. More recently, it was discovered that bodies of the deceased do not decompose in Guanajuato as they do in other places. This is attributed to the high concentration of minerals in the water – The Mummies of Guanajuato have become an internationally known tourist attraction. I have recently changed to using WordPress for my blog. For all who are interested in reading my previous blog, you can click on the link and take a look around. So far my journey has landed me on 5 continents. I have been fortunate to have filmed near the top of the world and at the equator. Along the way I have ridden a camel, touched a pyramid, seen the glow of the noonday sun below the horizon, swam with dolphins, worked long hours and slept in short spurts. I have learned to communicate using gestures and broken english. I have made friends of some amazing people, people dedicated to excellence in the practice of their crafts. We have shared ideas, meals, long hours and deep laughs. When I return home to my family, I catch up on sleep and recover…. and I remember why I love to come home. I do what I can to share my experiences with my students. Of course, I am always looking for the next adventure. Whether it is around the corner or around the globe, I am open to the experiences that my life affords. Always looking for new challenges and relishing the memories and friendships of the past.